The Johnston County Visitors Bureau makes marketing decisions based on research, planning retreats, and committee work with the Tourism Authority...all with our mission and vision statements in mind. The process of the annual review of the strategic marketing plan begins in March and is completed with the adoption of the annual budget in June of each year. 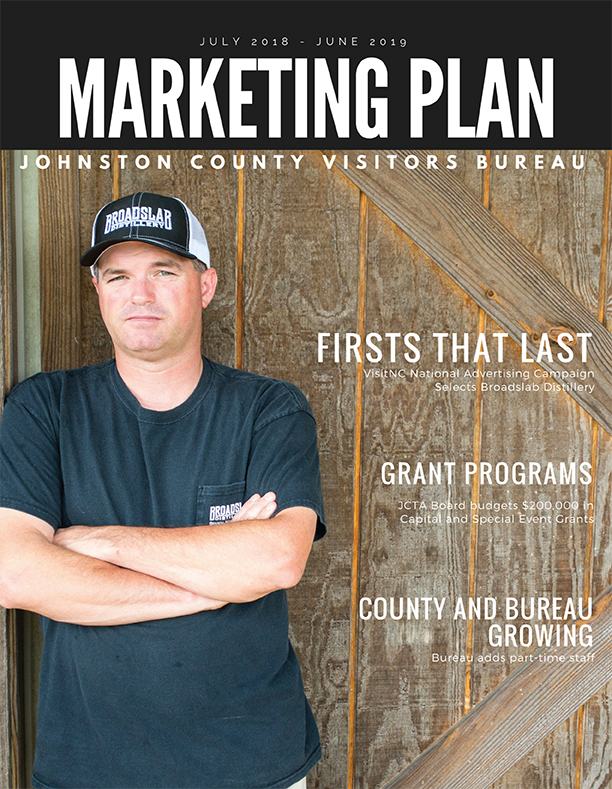 The official JCVB Marketing Plan is provided for our tourism partners to share our insights on trends in tourism and to outline the goals and tactics used to achieve our basic mission to attract and serve visitors to Johnston County. Our plan is definitely fluid and new opportunities and directives may be added throughout the fiscal year. We welcome the tourism industry&apos;s input and support of our mission...please feel free to call and engage with us. We are in this together!